Lisa has worked in biomedical research since 2006, managing a range of commercial, NHS and academic clinical trials and programmes. 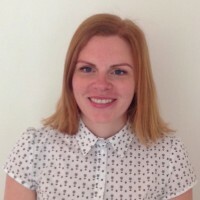 She previously worked at The Christie NHS Foundation Trust and MAHSC Clinical Trials Unit, and more recently at Manchester University NHS Foundation Trust as a Senior Project Manager within the Research and Innovation Division with responsibility for the management of the NIHR Manchester Musculoskeletal Biomedical Research Unit. As Operational Manager of the Manchester BRC, she is responsible for overseeing the core management team and information systems working across the research and cross-cutting themes, administrating BRC Governance and working with colleagues to support the successful delivery of the BRC strategic objectives. She has a BSC (Hons) in Natural Sciences from The University of Durham and an MSc in Clinical Research from The University of Manchester and is also a certified Prince2 Practitioner. In addition to her role as BRC Operations Manager, she holds an honorary contract at The University of Manchester as a Senior Lecturer delivering a Clinical Trials module as part of the Pharmaceutical Industrial Advanced Training (PIAT) MSc.